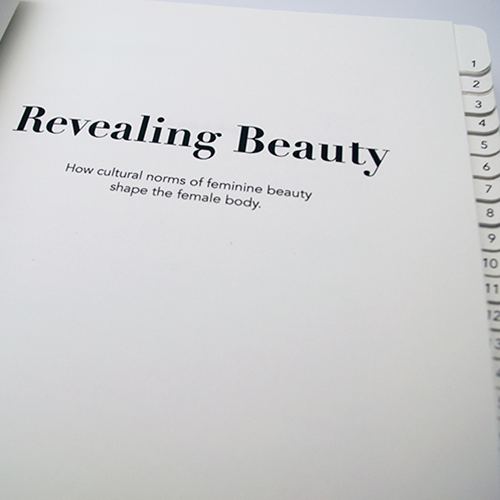 How cultural norms of feminine beauty shape the female body. By showing us unilateral images of women, the media makes us believe that there is such a thing as one beauty ideal. The media seems to ‘teach’ women (and men as well) what to think, and how to relate to their own, and others’, bodies. By exposing these images all around us, a norm for feminine beauty is created. We can live up to this ideal by responding to their offer. This is not only the case in the Western world; in many different places around the world, there are many different ideas and norms about feminine beauty. These norms can vary a lot, and are sometimes even complete opposites. Contradictory or not, what they all have in common is that these norms, fed by the media, became the ‘standard’ which women feel pressured to live up to. We may be obsessed with our bodies, we have a hard time accepting them as they are. This has resulted in a society where body ‘customisation’ has become normal and where women ‘take charge’ of their own body, by dieting, shaving, sporting, using cosmetics and even surgery. No parts of the body are spared the art, or pain, of improvement. These suits show all the parts of the female body that can be permanently altered. There is no such thing as a perfect body. These norms are applicable to everyone. Therefore, apart from the size, they are all the same. The suit turns the body into an object, something we do often in the west. We ‘own’ a body instead of ‘being’ one. 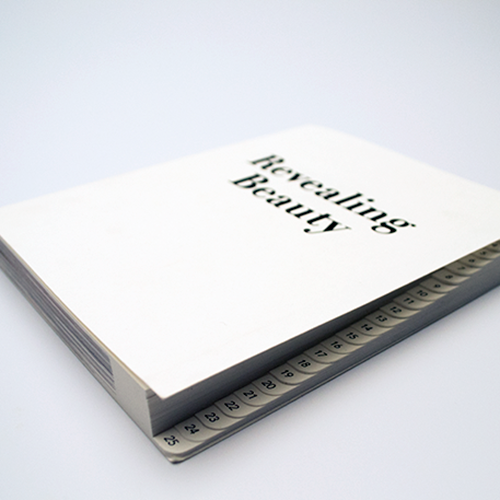 The book shows the manufacturability that people expose their body to, and what the idea of ‘perfection’ can do with us. It shows different body parts adjusted in different ways around the world to fit with the local idea of feminine beauty. Some of the ‘customisations’ might seem bizarre, and in some way they are. But could we see them as logical, although extreme, manifestations of dreams and fears that are fostered by a complex system we call culture? Our body is not shaped by what we eat, what we drink or what kind of sports we practice. 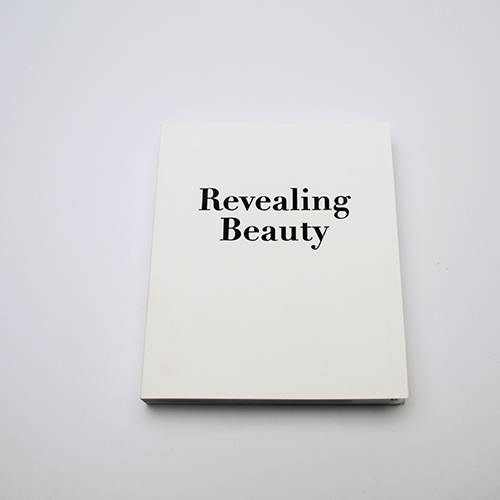 It is shaped by the norms of beauty that belong with the culture we live in.